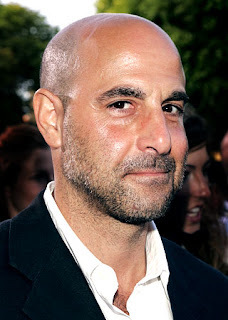 Stanley Tucci, who grew up in Katonah and attended John Jay High School has been nominated for 2010 best supporting actor ~ The Lovely Bones. The highly-respected character actor portrayal as a child killer in the big screen adaptation of The Lovely Bones has earned him Screen Actors Guild, Golden Globe, and Academy Award nominations. Mr. Tucci still lives in the area. Here is a link to a video on snowy day trucking (2/16/10) in Katonah. I.M Pei, a Katonah resident, is the 2010 recepeint of the British Royal Gold Medal. The Royal Gold Medal for architecture is awarded annually by the Royal Institute of British Architects on behalf of the British monarch, in recognition of an individual's or group's substantial contribution to international architecture. Chinese-born American architect I.M. Pei is honored in recognition of his lifetime's work. The 92-year-old, who designed the glass and metal Louvre Pyramid in Paris, will be given the annual special award at the RIBA in London on February 11.
considered one of the masters of 20th century architecture. Locally, I.M. Pei designed the IBM Office Complex in Somers New York that was completed in 1989.